When there’s a will, there’s a way! This is Elle and the mare, Playgirl In Mink, AKA “Bubbles”. 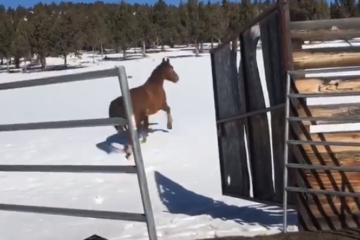 This may be the world’s longest unblanketing process, but Bubbles doesn’t seem to mind 🙂 Share this on Facebook if you love seeing young riders working and taking care of their horses! 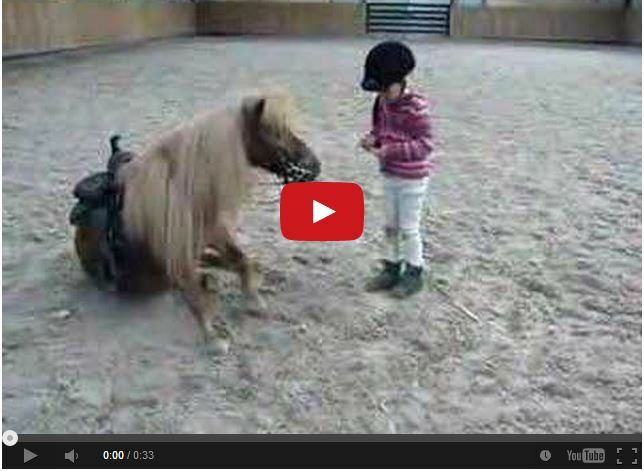 Watch This Little Girl And Her Pony Put On A Show! !